This past Friday night, I decided to get out and enjoy the 60+ degree Chicago Fall Weather. It was a great night to hit the Milwaukee Avenue strip in Logan Square and venture to the East Room for the first time. 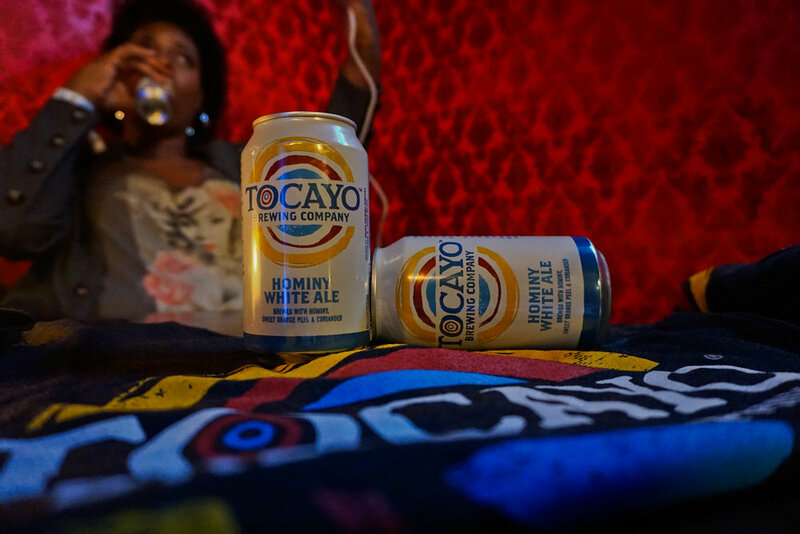 Tocayo was celebrating their 2nd birthday after launching in October of 2015 with their flagship beer, Hominy White Ale. The vibe of the space was pretty chill, as patrons stood around waiting for the live local Indie band by the name of Whitney to perform as well as watching live art being painted by street artist Tubs. Truth be told, I actually missed the Whitney performance, because I ducked out to go across the street for some eats at Revolution Brewpub. I originally only planned to grab a quick bite and then return to the party buttttt, the Jamo-Nilla *Nitro* caught my eye, and I just had to give it a try. Revolution's Jamo-Nilla is an Imperial Stout that was made in collaboration with Jameson Irish Whiskey. Then of course you know how it goes, one beer leads to another, which I ended up getting The Working Mom, that is an Imperial Brown Ale that was aged in Woodford Reserve barrels for 9 months. Both beers were pretty big beers and freaking amazing. I had to cut myself off and go back to the party. By the time I returned, while the vibe was still pretty chilled and relaxed, the band had already played. What was once a packed venue, before I made a brief exit, the crowd appeared to have thinned out a bit. I was able to get a can of the Hominy White Ale and give it a try. This was my first time having any beer by Tocayo, I mean it's only right to have birthday drinks with the birthday beer. I found it to be a light wheat beer, with citrus flavors and a sweet finish. I did not realize it until I was was making my final exit they had their Pilsner on draft at the party. All in all, I wrapped up my Friday night with great Chicago weather and beer. I'm a simple woman. 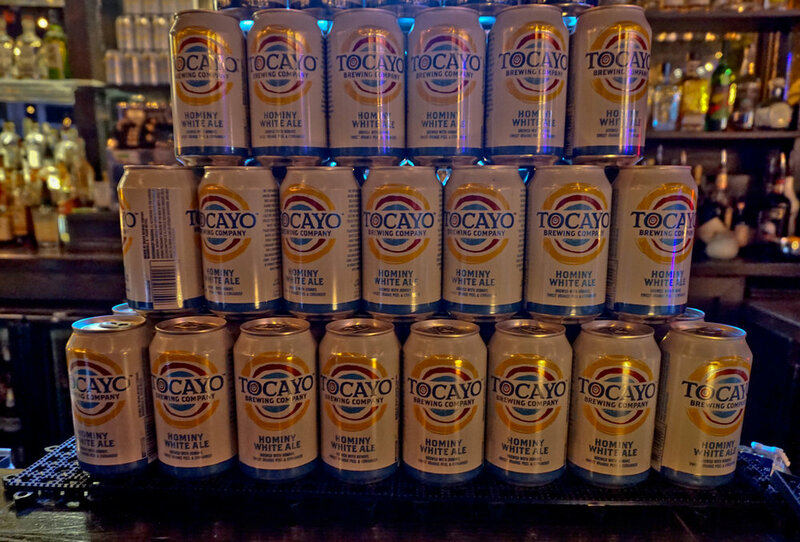 Cheers to Tocayo on their 2nd Birthday, looking forward to seeing what else they have in store. Also, I will like to thank Nkosio of Chicago Beer Geeks for the awesome photos, he allowed me to use for this piece.